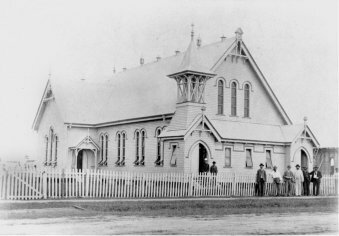 St Paul’s has been a regularly worshipping congregation in Mackay since 1872. 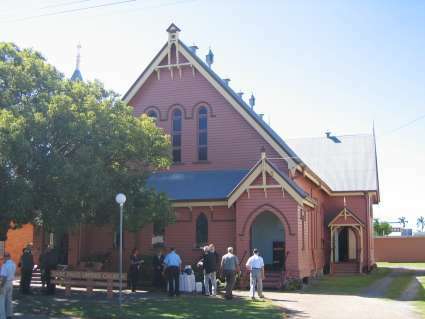 It was originally part of the Presbyterian Church and is now part of the Uniting Church in Australia following the union of three denominations: The Congregational Union of Australia, The Methodist Church of Australasia and The Presbyterian Church of Australia, which was inaugurated on June 22, 1977. The photos below include the first St Paul’s Presbyterian Church in Macalister Street with Reverend Thomas Hume and Mrs. Hume on left. The church was built by architect George Voysey. The building to the right of the church is the manse circa 1878. 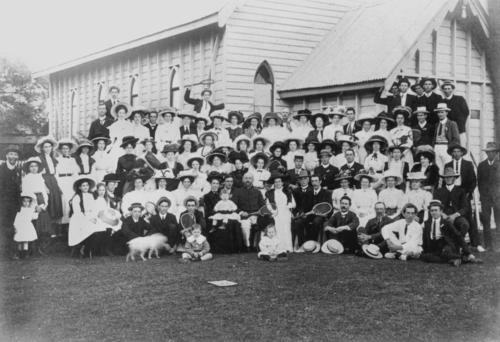 The photos also include the interior of St Paul’s prepared for an Anzac Day service, circa 1920. The pipe organ was added in 1953.